You know about our moose obsession, right? 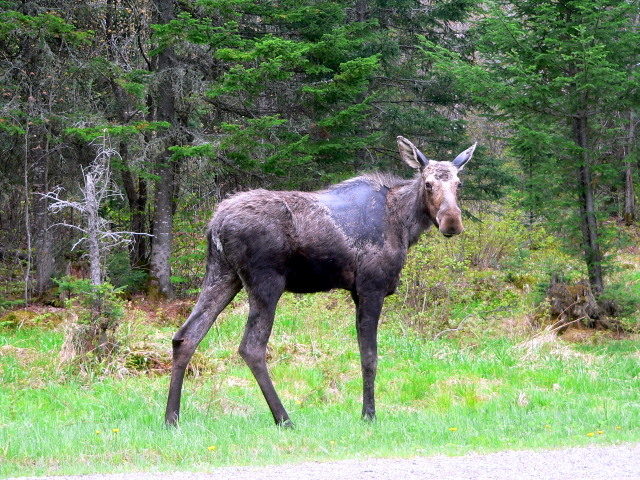 We love to to go moose “hunting”, especially in northern New Hampshire. The “hunting” is just in hopes of snapping a photo or two. Whenever relatives visit, we trek up there in search of the gangly critters. We are usually successful, seeing as many as 27 moose in one trip. A most satisfying moose “hunt”! 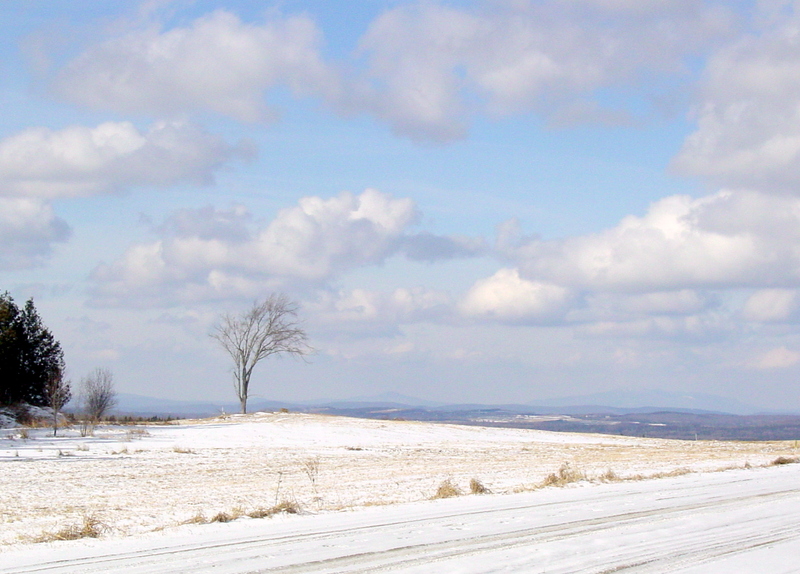 Here in Vermont, winters are long and harsh. But that makes our short summers all the sweeter. 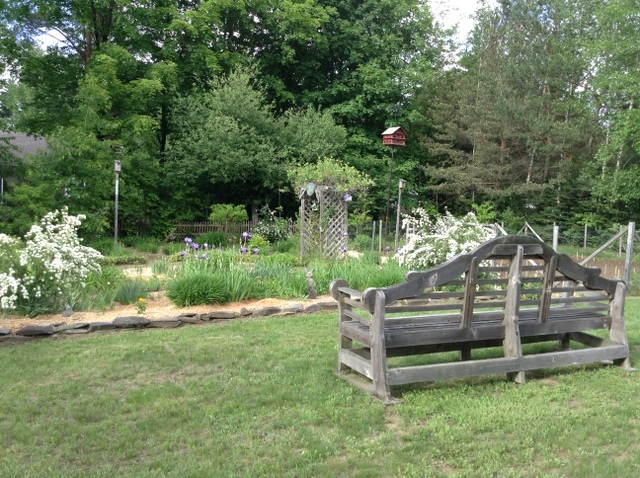 Our gardens aren’t anything spectacular but they give us an enormous amount of pleasure. Here’s a first glimpse at the yard. This little garden is our quiet spot. It’s the only area that the deer don’t visit (at least haven’t up until now) so the hostas and phlox grow and actually bloom! The lean-to looking structure on the left serves as a bird feeding station in winter and a grill shelter in the summer. 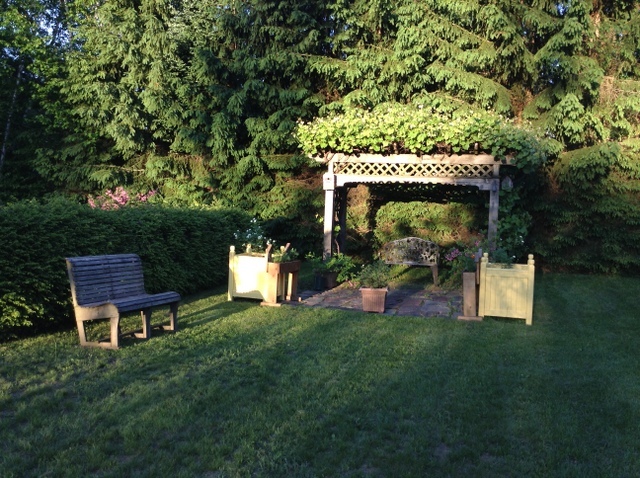 In the heat of the summer, this is a spot where the grapevines provide the coolest spot in the yard. Bill built the pergola, on which the grapes are growing, as well as the Versailles boxes, those big yellow boxes. He puts an ever-changing array of potted shrubs in them for constant blooms all summer. Finally, here’s my favorite bench, a Lutyens bench, in front of the main flower garden. Notice the pale mulch? I call it the starving artist mulch – it’s sawdust from the mountains of the stuff Bill produces in furniture making. The vegetable garden is off to the right. 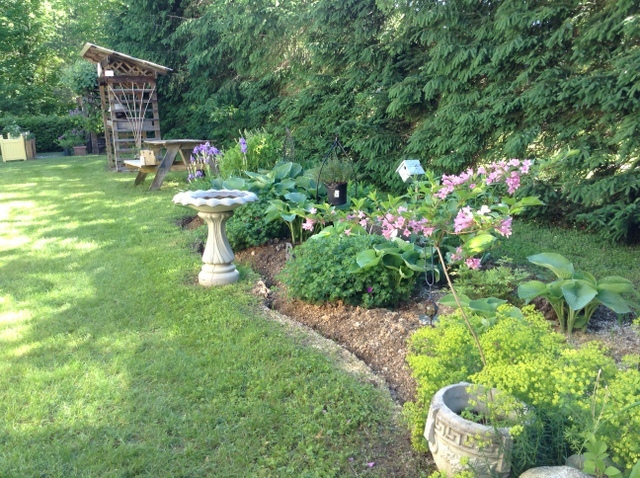 In the past 5 years, our garden has changed considerably because of the influx of pesky deer. Gone are all the tulips, phlox, and several other plants that the deer love. They let the hosta get just big enough to bloom, then chomp them to the ground. Day lilies aren’t even immune. So we’re slowly adjusting and discovering plants that those pests won’t touch, like marigolds, blanket flower, roses and iris. We’ve fenced in the vegetable garden otherwise we’d never get any vegetables, but haven’t done the same with the flower garden…yet. But I still have to admit, I love to see those pretty deer! Happy St. Patrick’s Day! We were so lucky to have been invited to my son Bill and DIL Deb’s for a traditional meal, one of my all-time favorites – corned beef and cabbage with carrots and little red potatoes. I brought homemade cloverleaf rolls, banana cream pie and first time ever, Irish soda bread. Actually, the cloverleaf rolls were made with my old standby Dinner Roll recipe and the pie was Cheater Banana Cream (some might call it “almost homemade” but to me it’s cheater) both of which my family loves. The Irish Soda Bread was thanks to Mavis Butterfield at One Hundred Dollars a Month. Served with honey butter – equal parts honey and softened butter – it is so yummy, definitely a keeper! 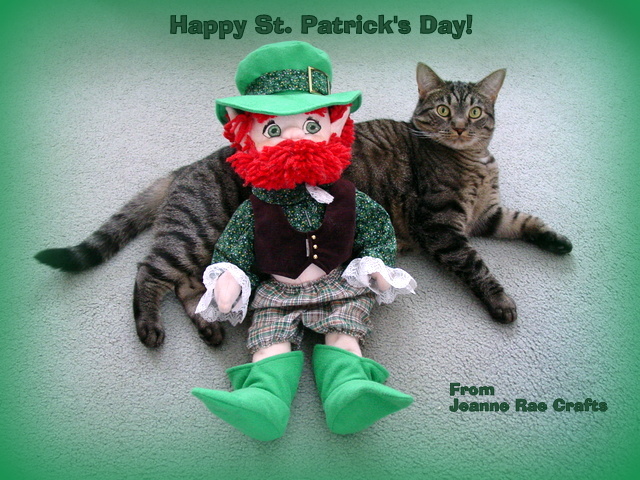 Here’s hoping that your St. Patrick’s Day was as rewarding as mine! 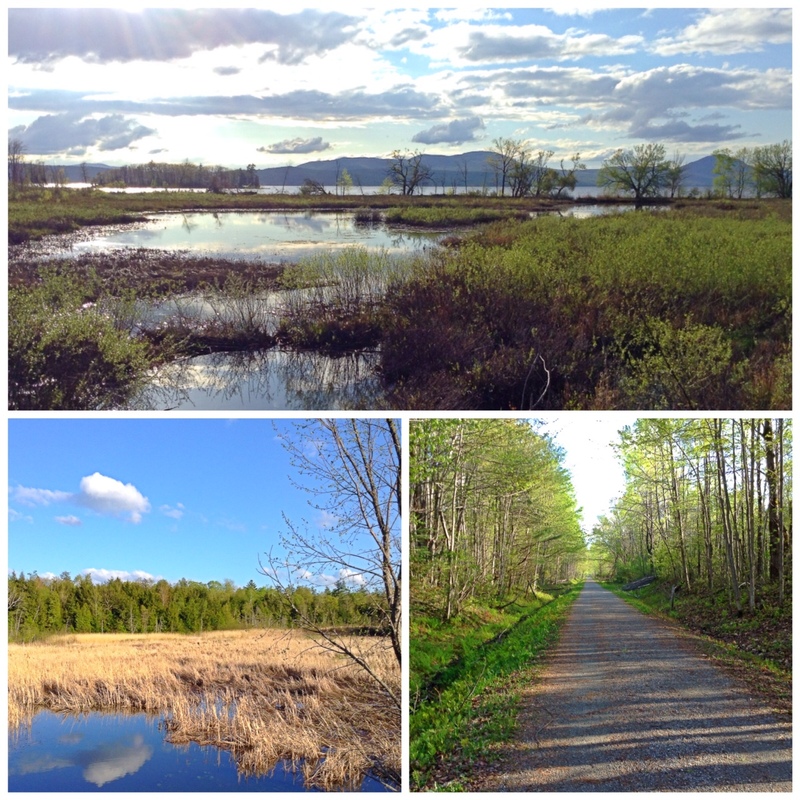 Saturday was such a beautiful day here in Vermont’s Northeast Kingdom! It was just too nice to not take a hike so we headed to Ferdinand’s Moose Bog Trail. On the way, we came across a large flock of those winter visitors, the snow buntings. While on the trail, we were lucky enough to see 3 of the boreal bird species we so long to find: gray jay, boreal chickadee and spruce grouse. 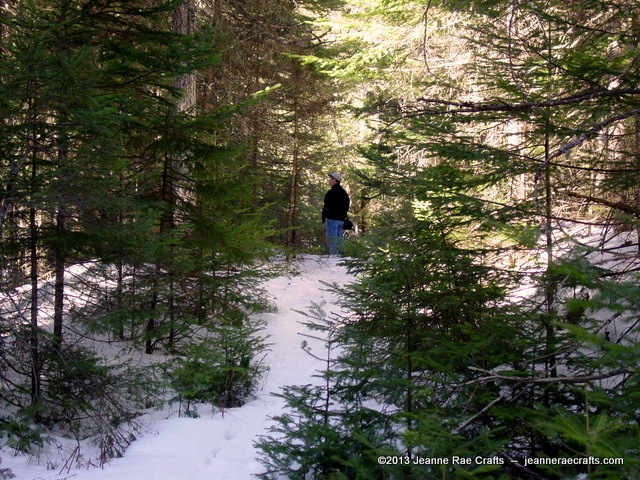 The spruce grouse was a real bonus – there on the edge of the woods was a male and female not 6 feet from us. They aren’t called fool hens for nothing! Snapping a picture of them was another story, however. It’s so hard to focus through a maze of tiny branches! A half hour after seeing that pair, we flushed another male spruce grouse as we left the trail. Beautiful day for a north woods hike. It may have been warmer in other places, but it’s still hard to beat a (relatively) warm late winter day in Vermont! You can see a few more of our photos here. Sugaring season is one of my favorite times of year. The days are getting longer, temps are over 32° during the day, though the nights are colder. The back roads are all mud, not fun to navigate. Sounds like early spring, doesn’t it? It is but it’s also sugaring time in Vermont. We’re fortunate to have a farm with a sugarhouse right down the road from us. Maples are tapped, sap buckets ready! 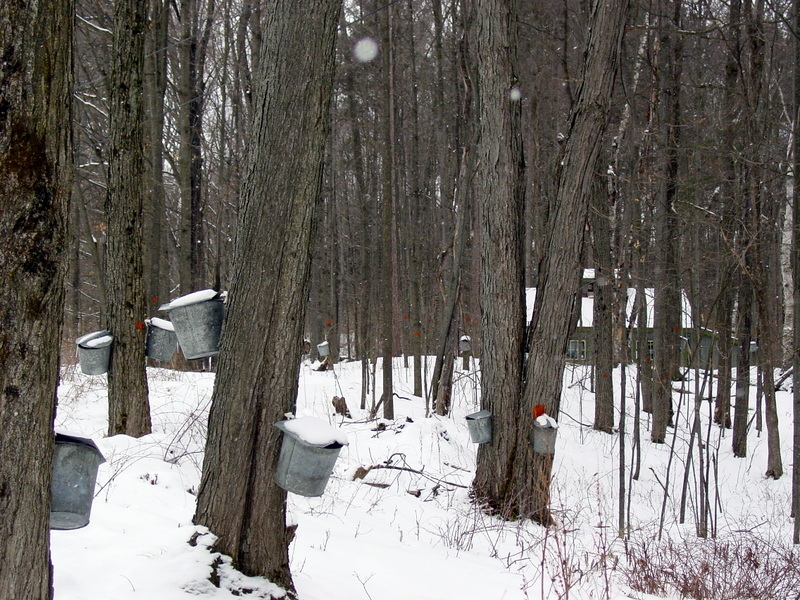 When the sap starts to run, you can hear the plink, plink as it drips into the buckets. See the sugarhouse through the trees? When they start boiling, steam will pour out of the roof. And the smell of sweet boiling sap can permeate the surrounding air. 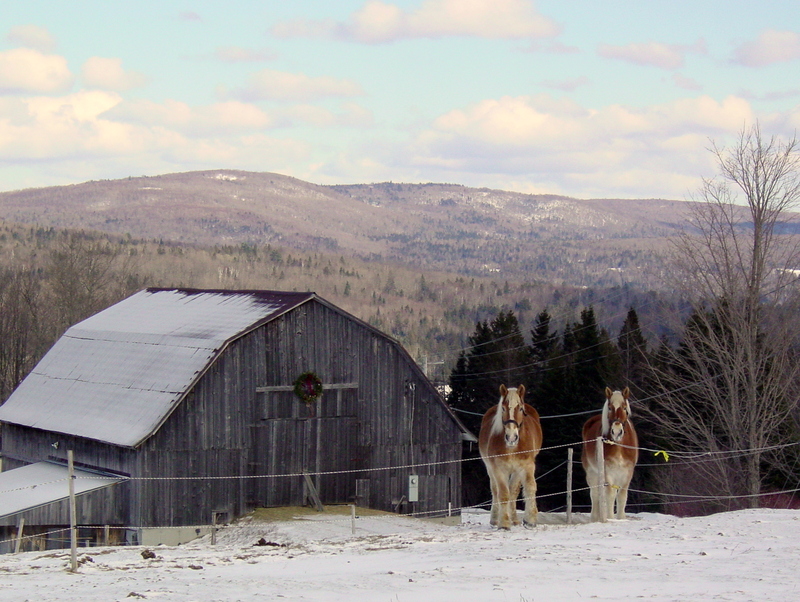 Often, the sugarmakers hold an open house to sell their new syrup and serve sugar on snow. 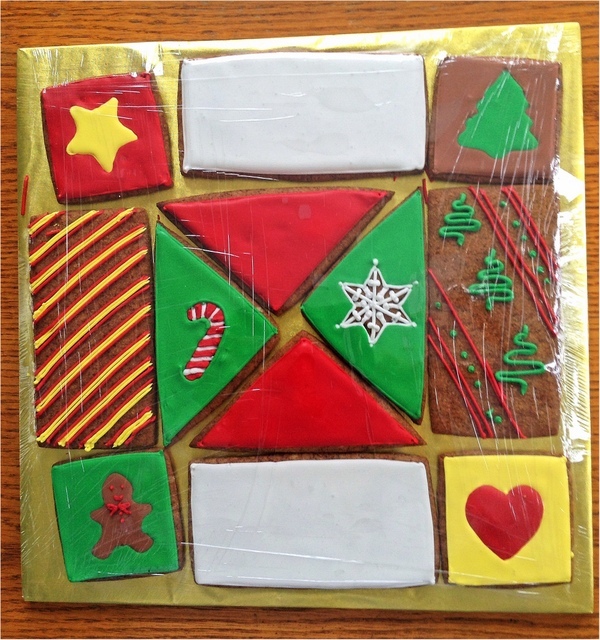 It’s time for sugar on snow! It’s traditionally served with raised donuts and dill pickles. First, snow is packed into containers, like pie or cake pans. I usually pack away some pans of snow in the freezer to have on hand so we can have this treat in the summer, too. Sugar on snow is really a maple taffy, simply made by boiling the syrup to 233°, then drizzling it on snow. You twirl the taffy on a fork to eat along with a fresh donut. When you’ve had so much of this sweetness that you can’t eat one bite more, you munch on a dill pickle – sweetness is gone, you can then start all over again! 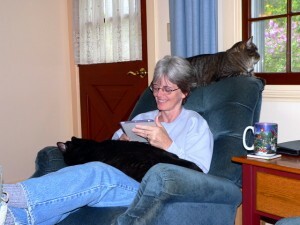 Smoky and Betsy are our two cats. Since we made the decision to keep them as indoor cats, we try to keep them stimulated, give them challenges. In the dead of winter, what is more welcome than some greenery. 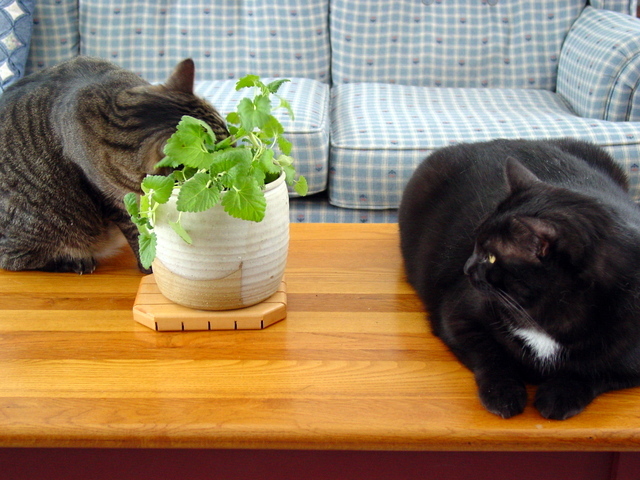 So the cats now have catnip. 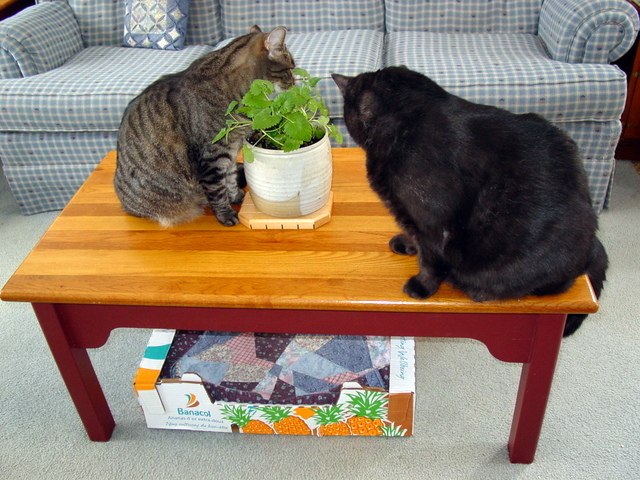 Cats ready to square off over the catnip. Note the cardboard box bed, which they LOVE. 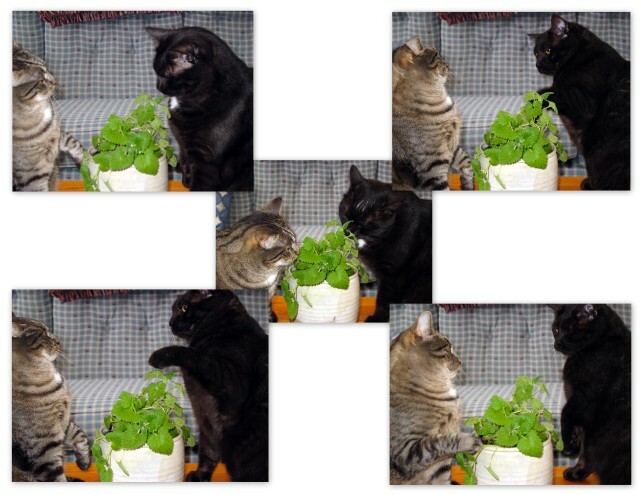 Within moments, they began acting like two little kids – that’s my plant…no, that’s my plant. 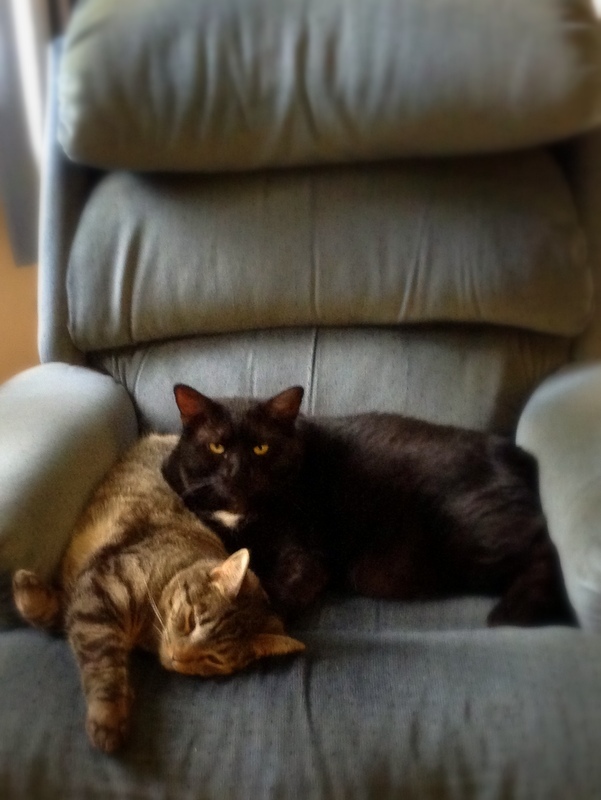 Smoky, the 26-pound gentle giant, soon gave in. Ask the average Vermonter what is the best way to sweeten anything and they will respond, “Maple syrup!” We love our syrup. But from the looks of this bread, so does the yeast! This is my go-to, everyday Maple Oatmeal Bread recipe. Dissolve yeast in the warm water. Add remaining ingredients. Mix well. Knead on a floured board for 8-10 min. or with an electric mixer and dough hook for 4-5 min. Place in a greased bowl, cover with lightly greased plastic wrap and allow to rise 45 min. If time allows, punch down and let rise again for 30-45 min. 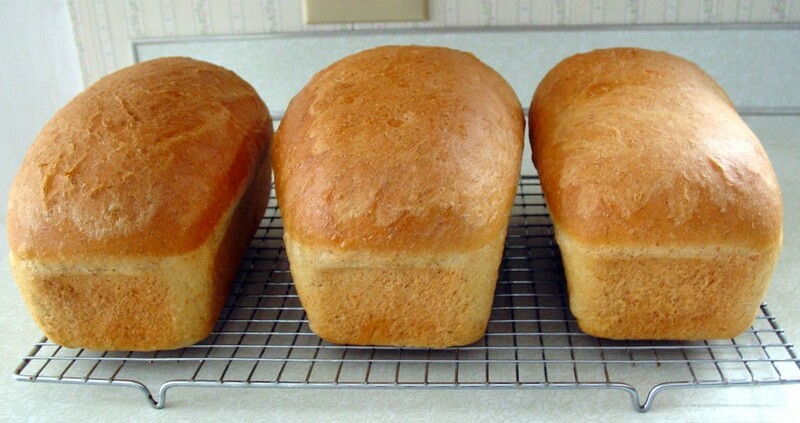 Form into 3 loaves. Place in lightly greased 8 1/2″ x 4 1/2″ loaf pans. Cover the pans loosely with lightly greased plastic wrap. Let rise about 45 min.- 1 hr. or until the loaves crown 1-1½” above the rim of the pan. Bake the bread in a preheated 350°F oven for about 35 minutes. Makes 3 loaves. *Honey or brown sugar may be substituted for the maple syrup. When you live at work (aka home business) and avoid going out because of the weather, just taking a drive brings on a whole new level of enjoyment. Thus, the Sunday drive. We expected to see snowy fields backed by majestic snowy mountains; after all, our little protected yard still has a lot of snow. But the storm this past week decimated the snow pack – what the rain didn’t diminish, the wind finished off. But it was sunny and still so lovely. We took a drive up to Holland (VT). About Holland, Bill tells me the saying goes, “If it ain’t the end of the world, you can see it from there.” It is remote and windswept but still a beautiful place. Don’t you agree?